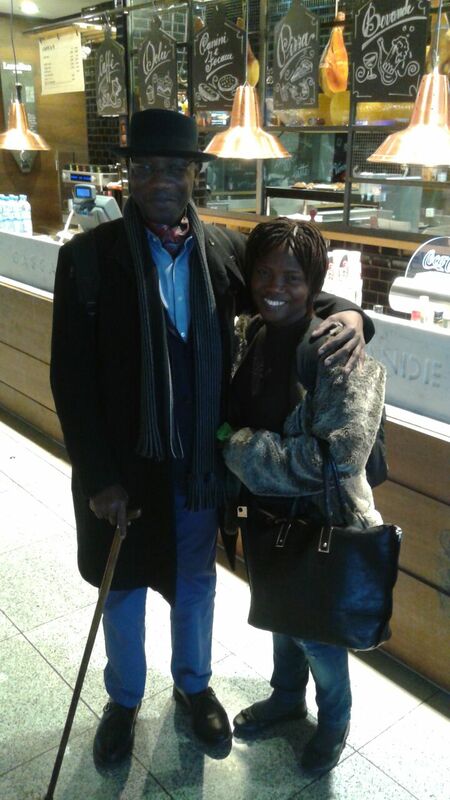 We caught up after 27 years, in Frankfurt. Almost a fortnight ago, in the midst of the media frenzy that accompanied a blog written about me, I heard from my sister that she was about to travel to the United States. I congratulated her as she admonished me for allowing the public spectacle that followed my story. In very stark terms, I made it clear that the decision was mine to make and the consequences, whatever they might be, were challenges to be faced as they came, all considerations taken on board. The exchange was a bit terse but friendly and I basically kept a low profile after that. On the Saturday after, we were in a bit of a quandary, travel agents in Nigeria were angling for their commissions at the expense of getting an affordable flight ticket. As the hours went the prices of the tickets were rising such that they were becoming unaffordable. Meanwhile, a useful app that could provide an insider’s view of flight scheduling and pricing OnTheFly was not available in Nigeria. I did consider transferring my frequent flyer miles to her, but there were limitations to the number of miles I could give away and there were other restrictions to buying tickets on the behalf of others outside Europe. Her first choice would have involved a 26-hour stopover in Doha, the question then arose about what to do with a long layover at the airport if you did not have a visa to exit the terminal. The Doha Hamad International Airport has quiet rooms for a limited time at a cost. All looked tentative. There were options for a stopover in Istanbul via Turkish Airlines and were it not for the strictures of time, flying out of Cotonou, Benin or Lomé, Togo would have shaved almost a third off the cost of the ticket. Apart from a contribution, all I could do was hope and wait for the best. As dusk approached, I received news that a flight had been booked on her behalf from the US and there was a 10-hour stopover in Frankfurt, she was flying with Lufthansa. I didn’t give it any thought on learning of this new development when I told her, if she was coming through Europe, I would see her. Europe is my backyard, so to speak and so I got into planning my trip. I requested her full itinerary from which I could determine what terminal she would be flying into and whether she implicitly had a transit visa to stopover in Frankfurt considering she did not have a Schengen visa. Then I had to determine if I could traverse terminals in the airport without having to go through immigration. Having a US visa implicitly gave her transit rights through Frankfurt Airport. On my side, I normally use SkyTeam flights, but that would have landed me in the Schengen immigration control area leaving Manchester with stopovers in either Amsterdam or Paris. The only way I could avoid this was to fly directly from non-Schengen Area UK to Frankfurt, it meant changing airline alliances to fly Lufthansa. Other domestic issues required I return on the same day rather than extend my stay through the weekend as I might have done in other circumstances. Fortuitously, I asked for the day off, booked my ticket to arrive in Frankfurt at 9:15 AM and depart at 9:45 PM, this meant I could print out both boarding passes double-sided for my outward and return journeys. My sister would have arrived in Frankfurt at the same terminal just under 3 hours before I did and when I arrived in Frankfurt, I was told to go to the Z gates having arrived at the B gates of Terminal 1. I boarded the SkyTrain that linked the gates and found myself at a security checkpoint. On tendering my boarding pass, after some hesitation, the teller noted that my departure would be from a Z gate, I didn’t even know that not to talk of my being 12 hours early for my departure. I was let through. I made it to the Z gates and determined my sister would leave from gate Z15, I had not seen her Facebook message and posted an announcement to have her meet me at gate Z15. I did a quick scout around the gate without seeing her and as the announcement went out on the tannoy, I waited at the gate as I scanned my Facebook messages. ‘I am waiting in front of gate Z15, where are you?’ I wrote. I stood looking around like a meerkat sentry, she appeared from the thick of the crowd, my sister who I last saw almost 27 years before. All the while, I was unsure of how emotional I would be, there no tears, just lots of hugging, I was very happy. There would have been much to catch up on, but we decided to cherish the moment instead after my other sister responded in the negative from Nigeria on Facebook that she was not the one was supposed to be meeting. Yes, we have pranksters a-plenty in the family. We called home, had a meal, took some pictures, found a place to recline and catch a nap, spent almost 8 hours together before I watched her board her plane and depart for the United States. By the time that was done, I checked to confirm my boarding gate, it had been changed to the B gates, what luck. Traipsing through another security check, a couple of hours in the lounge, I was back home just before 11:00 PM but it was too much of an emotionally charged day that I took Friday off. Mission accomplished by the accident of fortune and the blessing of opportunity and means. How I’ve wanted to write this blog for days.